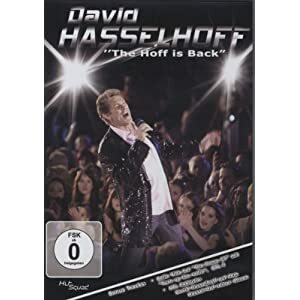 Discover on this DVD some David Hasselhoff’s new songs before the release of the upcoming new album “A Real Good Feeling”!! “The Hoff is Back” was released in 2010. Découvrez sur ce DVD quelques unes des nouvelles chansons du nouvel album de David Hasselhoff “A Real Good Feeling” qui sera disponible dans quelques semaines !! “The Hoff is Back” est sorti en 2010. The film “Friendship!” on DVD, German version. The film is available on this DVD only in german. This version of “Friendship! (German Version)” was released in 2010. In this film, David Hasselhoff makes a small appearance in the beginning of the film, funny! Le film “Friendship!” en DVD, version allemande. Le film est disponible uniquement en allemand sur ce DVD. Cette version de “Friendship! (Version Allemande)” est sorti en 2010. Dans ce film, David Hasselhoff fait une courte apparence au début du film, amusant! Another german version of the album “Sings America”. This version of “Best of – Sings America”, was released in 2010. Une nouvelle version allemande de l’album “Sings America”. 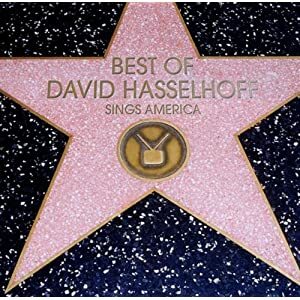 Cette nouvelle version de “Best of – Sings America”, version allemande est sorti en 2010. The film “Friendship!” on Blu-ray, German version. The film is available on this Blu-ray only in german. Le film “Friendship!” en Blu-ray, version allemande. Le film est disponible uniquement en allemand sur ce Blu-ray. The TV film “Bail Out” on DVD, US version. The film is available on this DVD in English only. This version of “Bail Out (US Version)” was released in 2010. Le téléfilm “Bail Out” en DVD, version US. Le film est disponible en Anglais sur ce DVD. Cette version de “Bail Out (US Version)” est sorti en 2010. The film “Starcrash” on DVD, UK version. The film is available on this DVD only in english. This version of “Starcrash (UK Version)” was released in 2010. Le film “Starcrash” en DVD, version UK. Le film est disponible uniquement en anglais sur ce DVD. Cette version de “Starcrash (UK Version)” est sorti en 2010. The film “Starcrash (Roger Corman Cult Classics)” on Blu-ray, US version. The film is available on this Blu-ray only in english. This version of “Starcrash (Roger Corman Cult Classics) (US Version)” was released in 2010. Le film “Starcrash (Roger Corman Cult Classics)” en Blu-ray, version US. Le film est disponible uniquement en anglais sur ce Blu-ray. Cette version de “Starcrash (Roger Corman Cult Classics) (US Version)” est sorti en 2010. The film “Starcrash (Roger Corman Cult Classics)” on DVD, US version. The film is available on this DVD only in english. Le film “Starcrash (Roger Corman Cult Classics)” en DVD, version US. Le film est disponible uniquement en anglais sur ce DVD. The film “The New Guy” on DVD, German version. The film is available on this DVD in german and english. This version of “The New Guy (German Version)” was released in 2010. Le film “The New Guy” en DVD, version allemande. Le film est disponible en allemand et anglais sur ce DVD. Cette version de “The New Guy (version allemande)” est sorti en 2010. The book “Das Knight Rider Buch: Das große Buch eines Fans über die 80er Jahre TV-Serie und das Comeback in 2008. Mit allem, was ein Fan wissen muss”, german version. 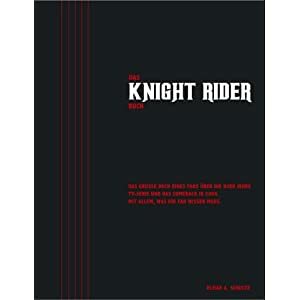 This version of “Das Knight Rider Buch: Das große Buch eines Fans über die 80er Jahre TV-Serie und das Comeback in 2008. Mit allem, was ein Fan wissen muss (German Version)” was released in 2009. Le livre “Das Knight Rider Buch: Das große Buch eines Fans über die 80er Jahre TV-Serie und das Comeback in 2008. Mit allem, was ein Fan wissen muss”, version allemande. Cette version de “Das Knight Rider Buch: Das große Buch eines Fans über die 80er Jahre TV-Serie und das Comeback in 2008. Mit allem, was ein Fan wissen muss (vdersion allemande)” est sortie en 2009.